Summary: Sugar, Sugar offers 100 of the best cake, pie, cookie, bar, and candy recipes from two sassy Sugar Mommas, Kimberly Reiner and Jenna Sanz-Agero, who are on a mission to preserve America's best sweet treat recipes and the even sweeter stories behind them. As the Sugar Mommas explain, "We drove down memory lane to discover our sugar inheritance, and then dug into everyone else's past to find their dusty, torn, and butter-crusted index cards." What the Sugar Mommas found was that every recipe has a story. From desserts that accompanied families through good and bad times, to treats perfected by domestic help, to never-before-transcribed sugar concoctions developed from wild imaginations, each recipe conveys the unique personality of the friend or family member who created it. When I opened up the package that contained SUGAR, SUGAR: EVERY RECIPE HAS A STORY by Kimberly "Momma" Reiner and Jenna Sanz-Agero, I almost thought it was too good to be true -- an entire cookbook devoted to desserts. Plus, there was a story for each and every recipe. I could look at the recipes and photos and read about the history behind them. Now that is my kind of cookbook! SUGAR, SUGAR is a little different than most "sweet" cookbooks. It has the regular recipes for cakes, pies, and cookies and gorgeous color photographs; however, it also has the stories behind the recipes. By that, I mean that SUGAR, SUGAR contains the individual background and tradition of each recipe. Each recipe also contains a fun "ingredient" like a glass of scotch to go with the El's Butterscotch Pie and a diamond-studded dog collar to go with the Scrumdilliumptious White Chocolate Cake. It's an entertaining book no matter how you look at it! SUGAR, SUGAR is divided into the chapters by type of dessert. For example, there are chapters titled: Cakes to Diet For, Tarts and Pies Worth the Lie, Better than Nooky Cookies, Cool Bars and Summer Stars, Candy and Creative Confections, and finally Recipe Legacies. There are also sections with helpful baking ideas as well as information on cake pan sizes and substitutes. I especially appreciated the helpful Sugar Momma Tips in the sidebars of the book and the places to write recipe notes. Just to give you an idea of the wide range of dessert recipes in this book, I thought I'd share a few with you! There are recipes for Red Velvet Cake, Italian Love Cake, Coconut Angel Food Cake, Fraiche Strawberry Pie, Buffalo Chip Cookies, Railroad Track Cookies, Congo Bars, Seaside Toffee, and Church Windows. I admit to being tempted by a few of the more unique sounding recipes too like Boobie Cookies (yes -- they actually look like a boobie! ), Church Windows, and Chocolate Hydrogen Bombs! Within the next day or so, I plan to make the Magic Marshmallow Puffs for Booking Son with just a little substitution for his dairy allergy -- I can't wait! 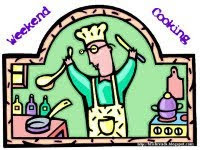 If you are interested in checking out a few recipes, here are the links for Cakies and Oatmeal Carmelitas. You might be familiar with the authors of this cookbook, also known as The Sugar Mommas. Momma Reiner founded Momma Reiner's Fudge which was one of Oprah's Favorite Things in her O magazine. These women have collected these recipes from across the country for this cookbook, and I think they did a great job of representing all types of recipes and traditions! They also maintain a wonderful website (especially if you are a fan of sweets!) and it's a must-see as far as I'm concerned. They have recipes, photos, a baking academy, a blog, and a even shop. You can also find a spot to submit your own recipes and stories! I just adored SUGAR, SUGAR. It's an absolutely beautiful dessert cookbook and it contains loads of delicious-sounding recipes -- well over sixty, if I counted correctly. In fact, I was hard-pressed to pick just one to try for this review. I decided on the Apple Crisp since it is fall, and apples are one of my favorite foods. Plus my parents were coming over for dinner and I knew they'd like an apple dessert. The Apple Crisp recipe was super simple and used normal ingredients that I have on hand all of the time (gotta love recipes that you can just throw together from your fridge and pantry.) I made it in about 15 minutes and then let it cook for another 40. It was heavenly... although I do have to warn you that it was highly addictive and not exactly low in fat or calories! 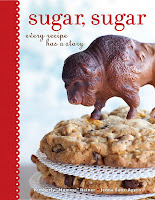 If you are a fan of sweets and/or sentimental stories behind recipes, then I highly suggest taking a look at SUGAR, SUGAR. Thanks to the publisher for sending a copy of this cookbook. Crisp -- apple or otherwise -- is pretty much my favorite dessert to make. First, it's mostly fruit; Second, you can control the amount of fats and sugars; and third, it's always delicious. I generally pretend crisps are more healthful than not. I'm kind of embarrassed to admit that I didn't know who the authors were before I got this cookbook. I sure do now, though, because I love the cookbook! I'm sure I'll be using it a lot. We went to the orchard last weekend for apple picking and come home loaded with apples, so I'm on the lookout for great new apple recipes -- the crisp sounds perfect. I love history behind recipes. Great post. I love apple crisp. I actually like just about anything with apples in it. But hot apple crisp with a scoop of good vanilla ice cream..there's nothing better! This looks like a great cookbook to have on hand. I don't know why this didn't show up in my reader until just now! Anyway, I already emailed Kathy to complain that now that song is going through my head! I am wishing that my library had this book on the catalogue but it doesn't yet! I suspect we might not because they are US TV presenters that we most likely don't get here. Thank you for leaving comments. If you are unable to obtain this book it is probably because it has not yet come out! "Sugar, Sugar" will be available Tuesday, October 25. Thank you Booking Mama for your review and we are delighted you enjoyed our book and the Apple Crisp. We hope your readers log on to our website www.SugarSugarRecipes.com to get more recipes, sign up for our newsletter, and submit a recipe to be considered for our next book. Let us know how the Magic Marshmallow Puffs turn out. They are spectacular! I saw this one listed in the coming soon and was tempted to take a look. Not sure I need more sugar, but....I definitely plan to take a look. Just seeing the title I knew I had to pick this one up. I adore desserts.